Back in 2013, there was a guy from Ohio that wanted to stand out and create something of himself, which led him to move out to sunny Los Angeles and pursue that passion for music. His name is Spencer Sutherland, an artist that I can positively say you do not want to miss out on. 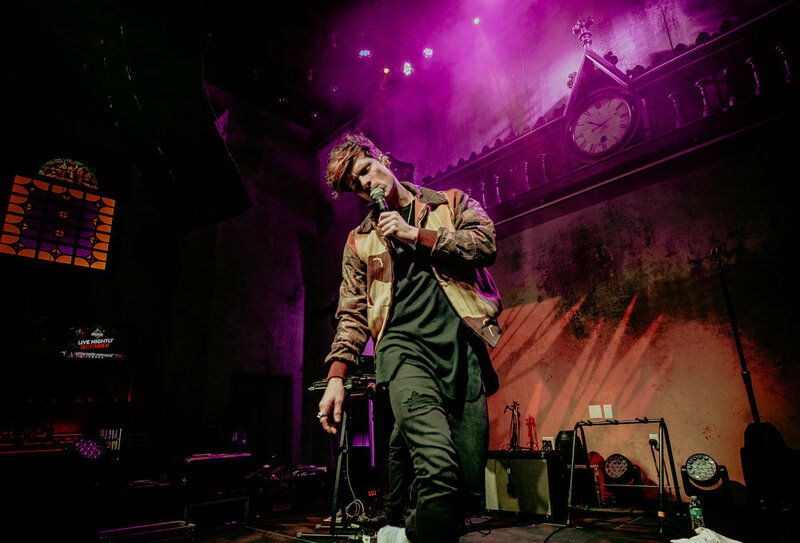 His talent has proved otherwise, opening for artists like MKTO, Ariana Grande, Big Time Rush, as well as being a contestant on The X Factor UK in 2017. His powerful vocals and style has huge potential and all I’m saying is I’m waiting patiently for the day for his music to blow up around the world because he’s that good. Stage presence: phenomenal. Personality: adorable. All around human being: priceless. 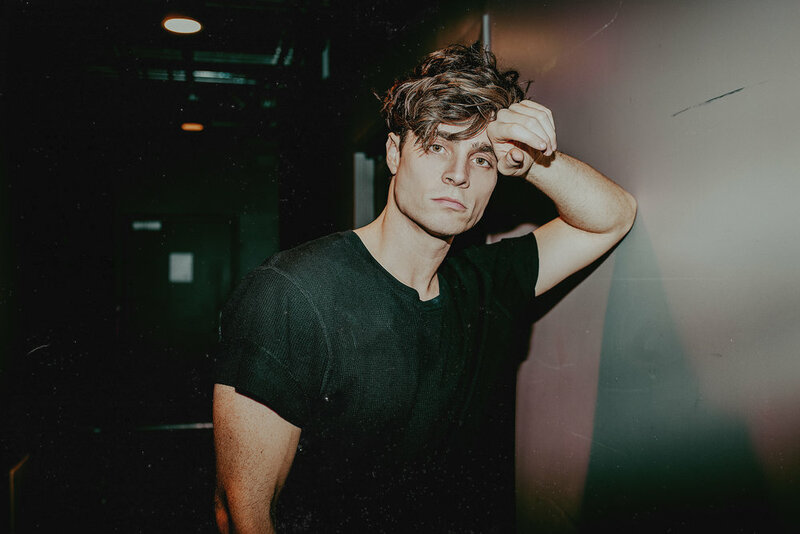 Currently on tour opening for popular boy band In Real Life, I had the chance to take a moment backstage before his set at his stop in Anaheim, CA, and find out a little bit more about Sutherland’s career and how the tour life has been like on his first national tour. Me: Can you tell us where you’re from and how you would describe your sound to someone who may have not heard your music before? Spencer: Ooh, good question. I’m from Columbus, Ohio originally, and if I had to describe my sound, I’d probably say something like left of center, pop, for all people. M: Ah yes for all the people. S: For all the people. M: How has the process been like over the years finding your sound? Do you think it’s an ever changing process, like experimenting with what you like vs what’s trending in the industry? S: Yes, that’s an amazing question. It’s definitely an ever changing process. Every year of my life, I feel like I experience new things, and just learn more. The whole 10,000 hour thing is definitely a real thing; writing 10,000 hours of songs makes you so much more of a better writer. But it’s interesting too about the trends and stuff, because you do want to stay, you know, with what is happening kind of, but put your own spin on it. It’s definitely ever changing for sure. M: You’ve released a few singles this year, when can fans expect a full length album or an EP? S: At the top of the year (2019). Another single coming later this year. And at the top of the year, I’ll be putting out a whole body of work. I’m very excited, because it’s all stuff that I’ve written in the last seven or eight months too, so none of it is old stuff. It’s all kind of where I’m at right now as a songwriter. I’m very excited, just real life stuff. M: (laughs) I know, it was just so natural! M: Yes, so how has the tour been, and how has the crowd reaction been like in the different cities that you’ve been to so far? S: The tour has been incredible, this is my first national tour ever, so it’s been really cool to, you know, you start playing the first few shows, and by the time it’s the ninth or tenth show, they’re starting to sing your lyrics. It’s super cool to see that, like as an artist that’s the number one thing you want to see. That’s been really cool, and then just playing show night after night, because you know, in the past I would play two shows, and then I would play two more, but here it’s playing show after show after show after show, and it’s super special. M: And is every show different? S: Yes! That’s the thing, sometimes a crowd is more energetic than the next one, it doesn’t make them any better, it’s just like the setting, or the sound, or how big the venue is or whatever, and you have to be able to adapt to that. Because if you keep the same state of mind the whole time you might be disappointed by some shows, but if you take them for what they are, it’s really awesome. M: That’s amazing. Now, I have one more question and I ask everyone this that I get to interview because I like to get different perspectives. What’s some advice that you might have for creatives and musicians to stay inspired and keep pursuing the dream? S: Wow, I would say that my advice is…number one, to be super true, real, and transparent because everybody can tell when you’re faking it. And everybody knows when it’s not a real thing. So that’s number one, just be true - don’t be embarrassed by what you’re going through and who you are, everybody embraces that. It’s 2018, you don’t really have to worry about anything anymore. Number two, just for me, it was putting in the time every single day, but also knowing when to chill, and have that time, because it really is important. Or else you’re just going to burn yourself out, seven days a week in the studio, doing stuff that doesn’t turn out great. Lots of work, and just being real, I would say. Who would you like to see me interview and shoot with next? 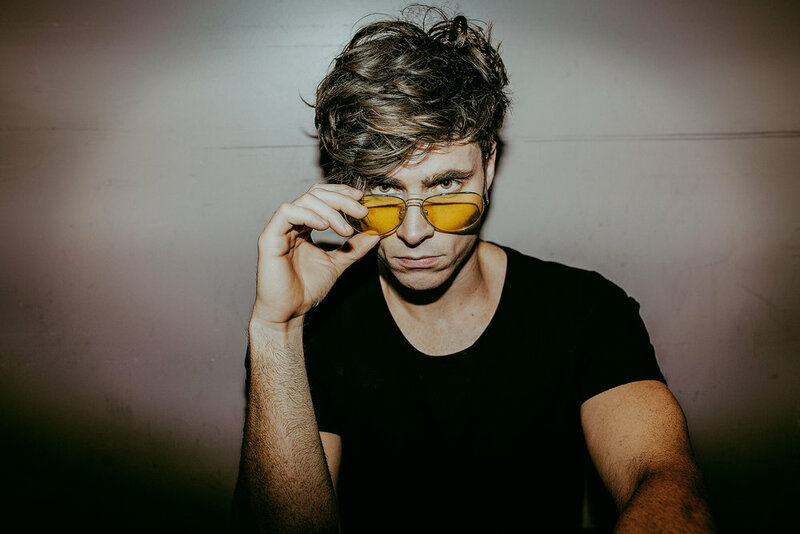 Leave a comment below and be sure to subscribe to my newsletter to stay updated on all things photo and music related! Until next time! Today's the day, folks. It's the first day of the final round of the legendary Vans Warped Tour, created by Kevin Lyman back in 1995. 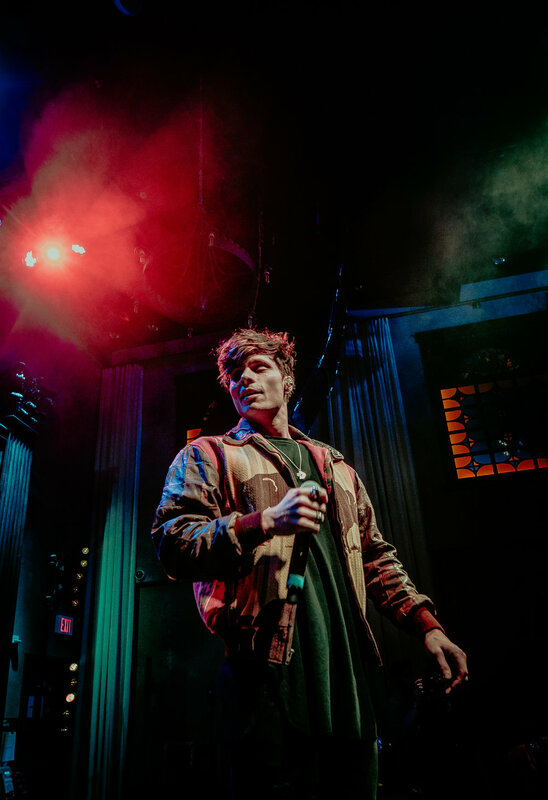 Lyman released a statement earlier this year, saying, "I have been a very lucky person to have traveled across the country and sometimes around the world as one of the founders and producers of the Vans Warped Tour. Today, with many mixed feelings, I am here to announce that next year will be the final, full cross-country run of the Vans Warped Tour." With such an incredible history and effect this tour alone has had on not only the artists who participate and perform for the Warped tour, but also the fans; every individual who has been able to come to a show or two, and all the experiences that have transpired in the past (almost) 25 years is surely something unforgettable. 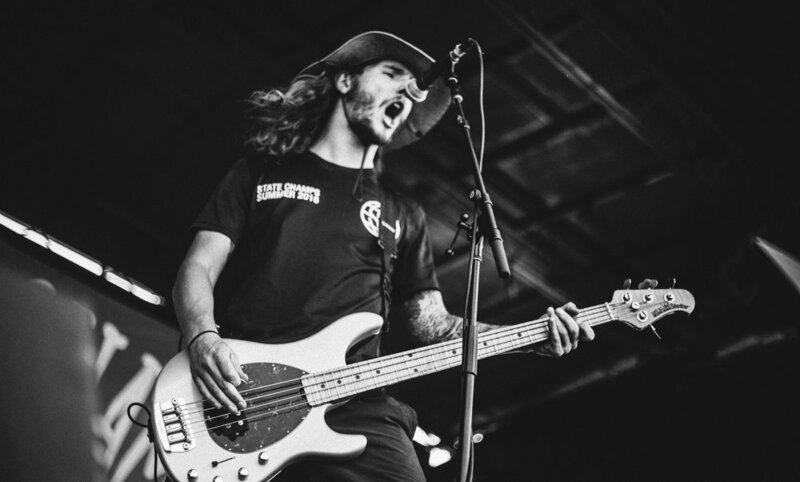 "I am so grateful to have worked with more than 1,700 bands over the last 23 summers. I wish I could thank every band that has played the tour. ", Lyman says. You can read the full statement here. To commemorate something that has had a major effect on me personally, and many of the friends I've met because of the music scene, here's an article for those who may be hitting up Vans Warped Tour for their first (or final) time. Not sure what to expect? Read on to find out some tips and tricks from my experience of a full day at one of the coolest tours around. Over the years, I've been able to photograph the Warped tour a couple times whenever it came to the town closest to me. It's been one of the wildest yet awesome experiences I've had as an artist. My first year was 2014, and I learned a lot about what to try doing for the next time, which was in 2016. 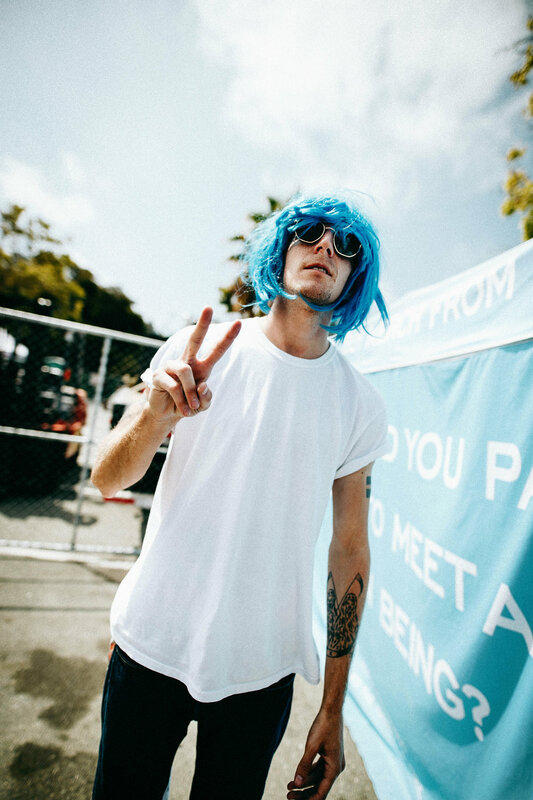 Whether you're going to be shooting Warped tour at a date near you, or you're just going for fun with friends (I'm doing that this year at the Ventura, CA date), here's some advice for what to expect from what will be one of the best days of your life. Dress appropriately. First things first; you have to wear an outfit that you will not be dying in by the end of a 10+ hour day. Depending on where you live, make sure to check how the weather is going to be the day before you go. If you're traveling far from your hometown to a certain location, pack options just in case. For instance, I have a friend who's gone to Warped tour with me that came in from Washington to California. We may be on the West coast, but the weather can be drastically different. For me, a good go-to is shorts, a tee, an extra layer (i.e. flannel or hoodie - it gets cold when the sun goes down), fanny pack or back pack, a hat, sunglasses, and the most comfortable shoes you own is the way to go. I've seen some people get super dressed up (God only knows why) and they end up looking like a complete mess by the time headliners come on to play. Customize and play around with some options; it's Warped tour, you can basically get as wild with your fashion as you want! But please keep comfort in mind. Whether you're shooting all day or just with friends and going into the mosh pits, comfort is absolutely 100% necessary. Time. Time is never on your side when it comes to festival days. I highly recommend coming to the venue one to two hours before gates open. I know that might sound crazy, but I've been to shows where fans show up the morning of a concert that doesn't start until 8 pm! Two hours gives you plenty of time to check out parking, familiarize yourself with the venue and the layout, pick up tickets or passes, and hey, you might even meet some band members while in line! Some bands take the time to come out to eager fans outside, coast the lines, and share what time their set is. It's a cool opportunity to hang and talk with different artists, (maybe even network?) and snag a photo while you're at it! How do I meet bands?! Something everyone wants to know. You'd be surprised how easy it can be to meet the artists and other celebrities at some point during your day. Like I mentioned earlier, it's easy to meet some band members when they're promoting their set times. They're just people; go say hi! Another great spot to look for artists is where else but their merch tents. They'll be everywhere, and usually, throughout the day they can be found meeting and selling merchandise when they're not performing. I've been able to meet and photograph people like John O'Callaghan of The Maine and Jenna McDougall of Tonight Alive this way. Another example is how my sister met Tyler Posey one year, known for MTV's Teen Wolf. 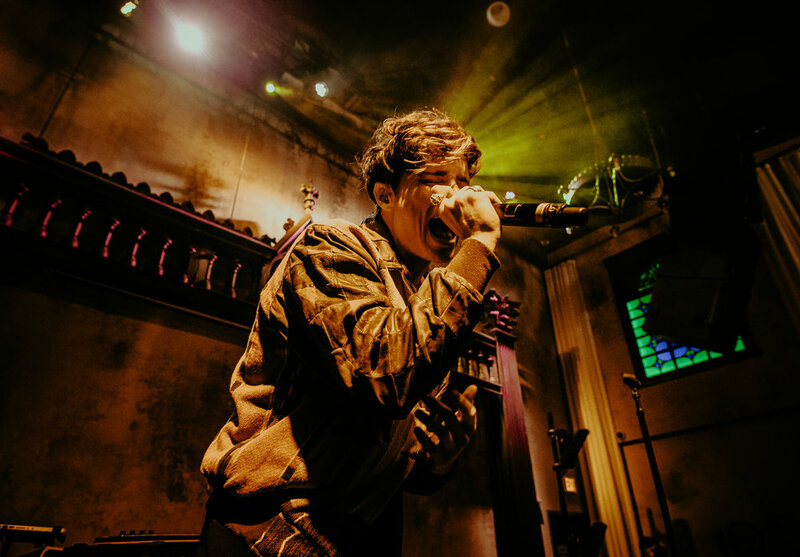 He's known for being a big fan of the pop-punk scene, and was there with his friends of State Champs! He was just walking around like any other person, and she managed to strike up a conversation and take a quick photo. This is the type of event where anything is possible when exploring the grounds: you never know who you can meet and connect with! Now for the music: Okay, you've made it inside, got your squad on backup, and you're ready to head to the stage - but wait, which one?! As soon as you get inside, it's the moment where you can find out the exact set times. Sadly, every day is different for the tour, and you don't find out when your favorite bands are playing until you get through the gates. But don't stress! There are signs everywhere stating where each stage is, who's playing where, and what time, which is where that sharpie can come into play. Sometimes they hand out actual copies of set times for the days, sometimes they don't. So if you can, try writing it down somewhere if you've got something to spare. If you try saving it in your phone and your phone ends up dying halfway through the day, you're screwed. Sadly technology isn't always our friend. When you do find the signs and figure out who's playing where and when that's when you want to plan your day out. It's good to have a schedule to stick with, and you can always switch things up if you want. I know for me personally, I've had friends where we have certain bands that we want to see but we sometimes don't want to see the same bands. Keep communication open with your group. For instance, say your friend wants to see We the Kings at 11:30 but you want to check out Beartooth at 11:25; pick a spot where you can meet up after their sets and go from there. Do whatever works for you and your friends! The Maine's tent, Warped 2016. Fans could easily meet members like John or Garrett here, selling merch. Let's see, am I missing anything? Outfits, necessities, friendship, bands, music...oh yeah, don't forget to open this pit up!!! How have you gotten through a festival day? 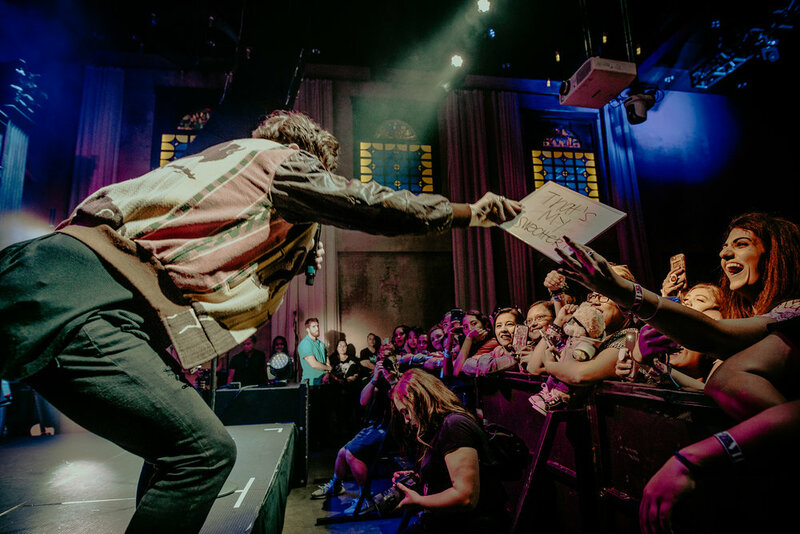 Leave a comment below of anything I might have missed, which stop you're going to, who you're most excited to see, and don't forget to sign up for my newsletter for all things photography and music related, and follow me on Instagram and Twitter while you're at it! I like me better when I'm with you. Does that ring a bell? You might have heard it once or twice while on your commute to work, or out at a party on a Friday night. And if you haven't heard it yet, where have you been? 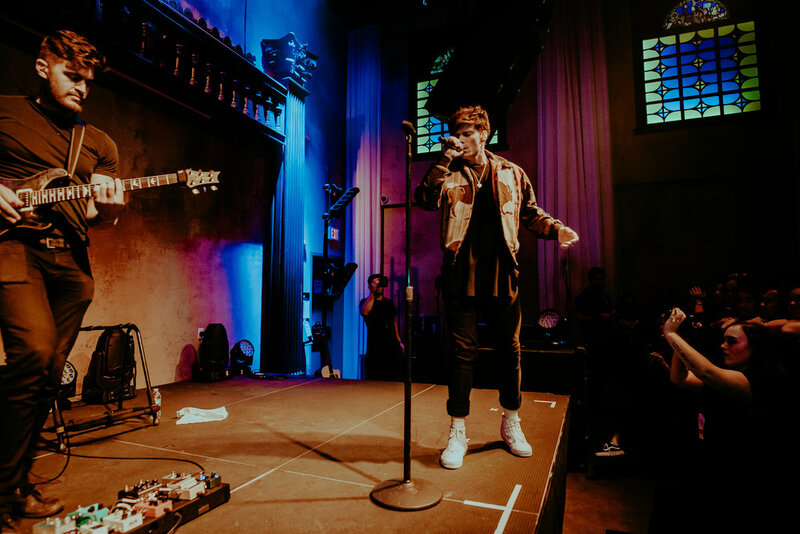 San Francisco native Lauv has been slowly but surely taking over the radio airwaves with his hit single I Like Me Better, and has finally released his debut album entitled I met you when I was 18. (the playlist), originally known as a playlist collection of songs of love and heartbreak listeners could find on Spotify or similar music platforms. 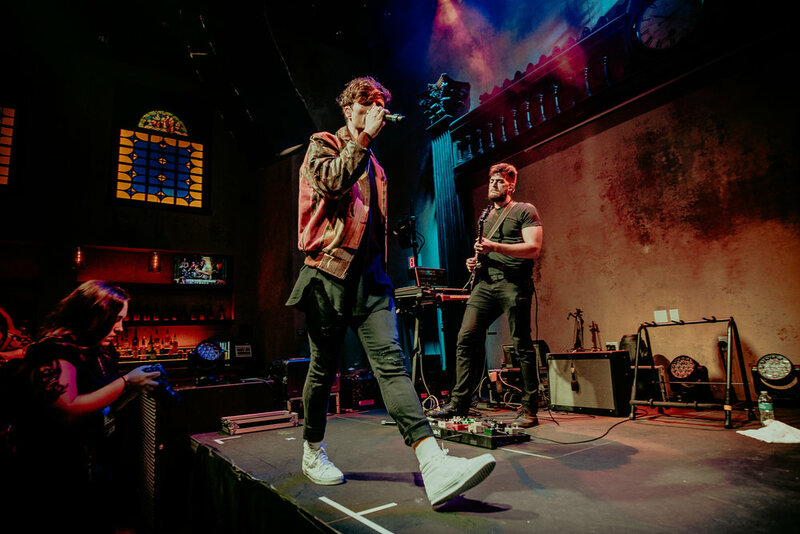 When talking about the long journey behind the story of I met you when I was 18., Lauv says, "I thought I was just going to be writing/producing songs for other artists. But I kept putting songs out to express myself, and eventually that turned into this playlist...(it's) a project that helped me sort through being in love for the first time and figuring out the person I wanted to become." The full statement can be found on his twitter. With 17 tracks (!!) fans can listen to (and quite possibly either sob or dance to - maybe both), there is no doubt that the rhythmic beats and soulful vocalizations will make you bob your head and save the entire LP to your favorites, like, right now. If you aren't listening to it by now, what are you doing with your life? We're introduced to this story with the single I Like Me Better, and taken onto an hour long journey of finding oneself, falling in and out of love, and trying to find the balance of life and love and what it means in the chaos of life and relationships. We're always left into a confusion of the aftermath of a breakup, wondering what went wrong, what could've been done different to save what you had with someone you were crazy about; maybe even diving into frustration, paranoia, and a madness of emotions we can't escape from. I highly recommend taking some alone time to really analyze the lyrics and the storytelling played throughout the songs and how they flow together. It creates such an insane and heart wrenching visual, and, maybe, just maybe, make you reflect on the failed romances you've experienced in your own life. It's a tale that makes you want this to work, but in the end, you might move on even though that person is always going to be hanging by a thread in the back of your mind. Songs like Paris in the Rain and Comfortable make you feel all the feels when it comes to loving someone, and then slowly but surely as we dive into songs like Paranoid and Enemies, we're drawn into the sorrow and craziness of the ugly side of relationships. The album ends on a reminder that "For as long as I live and as long as I love I will never not think about you", as stated in the finale of Never Not. A piece of art that truly stands out in the pop industry, Lauv surely proves himself on this record as an all around creative individual any artist should aspire to be like. The album is available on Spotify and other streaming services, and available for purchase online and in stores. 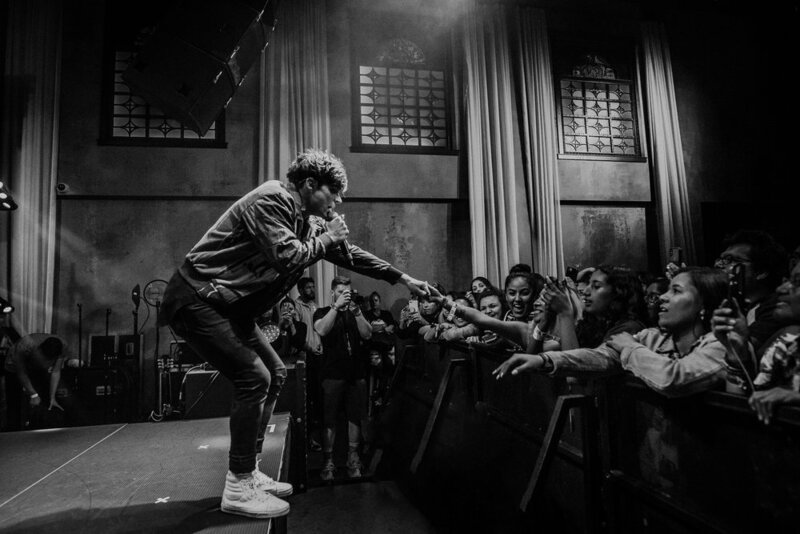 Lauv is going on tour, and you can see the dates below to see if he's coming to a city near you! You can follow Lauv on social media by following the link to his site below, and thanks for checking out my site! Want more news like this? Be sure to follow me on instagram and twitter while you're at it and subscribe to my newsletter for the latest music reviews, interviews, photoshoots, and more updates! 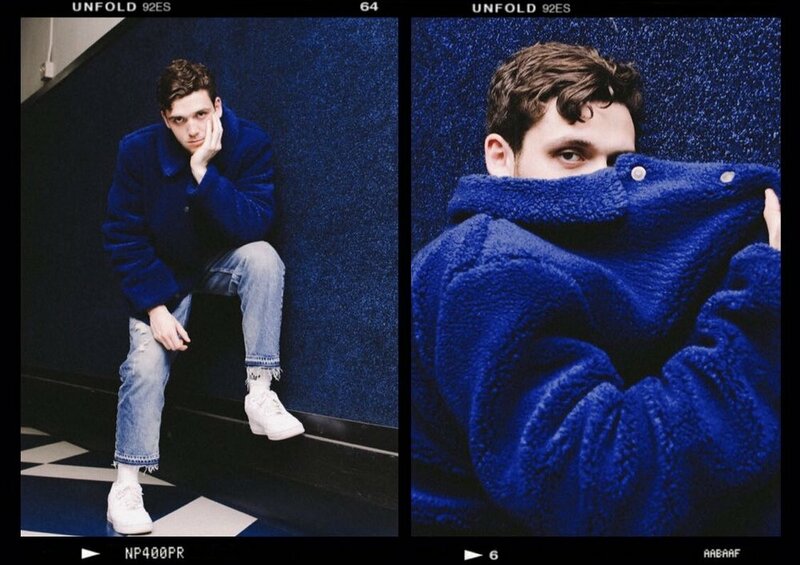 Check out the link below to listen to Lauv's newest release now! Orange County, get ready because you've just discovered your new favorite punk rock band, also known as Counterfeit (stylized as COUNTERFEIT.) 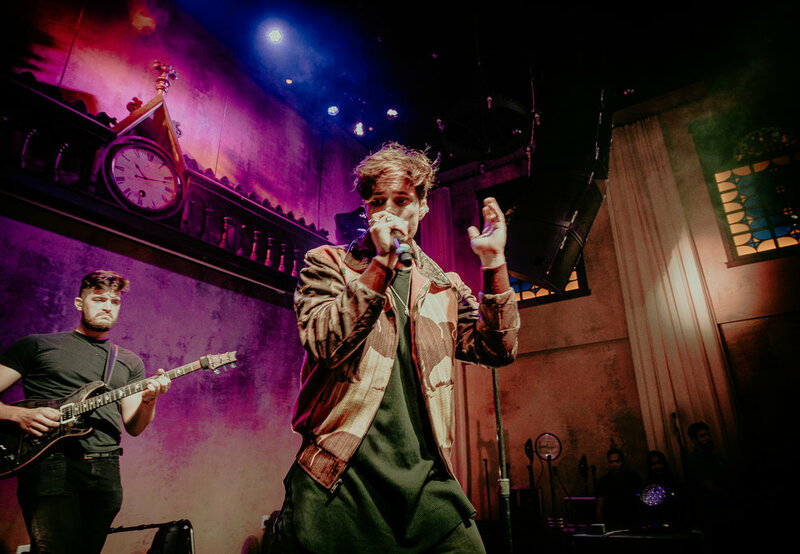 Based out of London, the band was formed in 2015, consisting of lead vocalist and guitarist Jamie Campbell Bower (you might recognize him from Twilight or Harry Potter), guitarists Tristan Marmont and Sam Bower, bassist Roland Johnson and drummer Jimmy Craig. The UK artists just announced their first headlining tour in North America, and are probably coming to a city near you. With their unique, dark, and cathartic sound, Counterfeit will surely sweep the nation in no time, whether you're already a fan of punk music or not. They bring a stage presence like no other, with an energy that will get you head banging like it's 1999. "We are stoked to announce that we'll be bringing the madness and mayhem that is Counterfeit. to North America for our first headline tour in April and May. We are taking no prisoners… this is bound to be wild, to say the least, and we're pumped to get out and thrash. We'll see you down the front or in the pit,” says Sam. VIP packages are available for all dates! Check them out here. Exclusive meet & greet with Counterfeit. Specially designed Counterfeit. tour poster; autographed by the band! Check out the band on Spotify and Youtube, with their latest release of the album entitled Together We Are Stronger and riot like never before. Be sure to grab yourself a ticket before they sell out, and hopefully I'll see you there in Anaheim! It's a show you will not want to miss. Check out Counterfeit. on all social media @counterfeitrock and give them a follow.